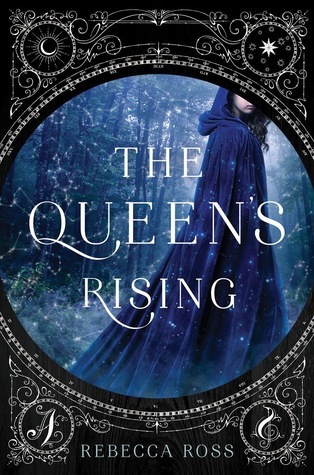 With THE QUEEN’S RISING, Rebecca Ross delivers an epic fantasy debut rife with secrets, adventure and romance. Every page draws you in deeper, especially as treasonous plotting and political intrigues reach a fever pitch. It’s an imaginative, girl-powered thriller set in a world inspired by Renaissance France. We first meet 10-year-old Brienna, the illegitimate child of a Valenian mother and a mysterious not-to-be-named Maevan father, when she is taken to Magnalia House—a place where girls learn to master one of five passions: art, music, dramatics, wit and knowledge. For seven years, Brienna works to master her passion, in hopes she will be chosen by a patron in due time (think of it like getting a job offer out of college). But her future takes an unforeseen turn and Brienna finds herself bound to a mysterious lord, embroiled in a dangerous plot to overthrow the ruthless king of Maevana. Their quest: restore the legitimate queen, and magic, to the throne. Along the way, however, more secrets are revealed, more hidden identities uncovered, challenging everything she knew and hoped for. Soon, Brienna would be forced to choose between blood and passion. With so much happening, the narrative races from beginning to end—there’s never a lull amidst all the treasonous plotting. I loved the characters and the depth to the story. Loved the adventure and suspense, and of course, the delicious tension of a slow-burning romance. It’s an imaginative, exciting, beautifully-written fantasy perfect for fans of Victoria Aveyard and Sarah J. Maas. Don’t miss this one.